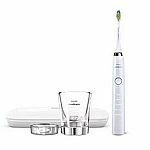 Amazon has Philips Sonicare 3 Series gum health rechargeable electric toothbrush (HX6631) for $39.99. Shipping is free. Fitbit's quality is very bad.I bought two before. Both died right after one year. True //@anonymous: Fitbit's quality is very bad.I bought two before. Both died right after one year. I had one for 8 months. No big complaint but a small nuisance. the distance is off. If I am running at 6+mph, it's ~10% less； walking at 3-4miles, 10% more. Wait till 1 year or so //@anonymous: I had one for 8 months. No big complaint but a small nuisance. the distance is off. If I am running at 6+mph, it's ~10% less； walking at 3-4miles, 10% more. Same here. The Screen went dead a little after a year. I then bought a less than $30 one on Amazon ( not Mi) and it works perfectly //@anonymous: True //@anonymous: Fitbit's quality is very bad.I bought two before. Both died right after one year. Amazon has Braun 70S Series 7 Shaver Replacement Head for $25.44 with $3 clip coupon. Shipping is free with Prime (30-Day Free Trial). Please read some comments on the product quality at Amazon. The replacement doesn't seem to have same quality as original part. Will pass this. Amazon has 320-Count Lysol Disinfecting Wipes (Lemon & Ocean Breeze) for $12.47 - 20% off (clip coupon) - 5% with subscribe = $9.85. Shipping is free with subscription (can be canceled any time in your account). 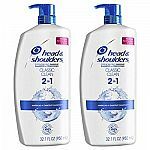 Amazon is offering 25% Off Head & Shoulders Shampoo & Conditioners products with code " 25HSAMJBVF". Also extra $1 off coupon available on select items' product page, clip them to save more. Shipping is free with Prime or on $25+. 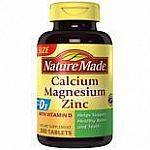 Walgreens is offering Buy 1 Get 1 Free on Nature Made Vitamins & Supplements + $2 off coupon (on product page) + Extra 15% off $40 with code "APRILSALES". Free shipping at $35 or ship to Store FREE. how to get second one free? Add 1 eligible to cart, in cart, change quantity to 2 to see discount. //@Anonymous: how to get second one free? Buy 3 get 3 free Body Care + 20% with code "S2RT2TY"
$2.95 Hand Soaps with code "SINKSIDE"
Walgreens has Oral-B Electric Toothbrushes on Sale. Shipping is free. Math is wrong. Pro 7000 comes to $69. You are right, thanks I updated. //@Anonymous: Math is wrong. Pro 7000 comes to $69. Sams Club is offering $20 off $80 on select P&G Products with Club Pickup. You need choose "Club Pickup" to get the discount. Sams lists its all P&G products but only a few "selected" qualify for the discount. Amazon has Vaseline Petroleum Jelly, Original, 1.75 oz for $0.99. Shipping is free with prime. Good deal!! Vaseline is the best for whacking off. The same price on Target. And Amazon has requirement of minimum quality of 2. Folks, even with such a big sale, I guarantee you that you would be happier with Helmans mayonnaise. I’m pretty sure this sale brand doesn’t even use real eggs! Macys has Fitbit Alta HR Heart Rate + Fitness Wristband Special Edition for $79.99. Shipping is free. When such deals are posted as great deals. I hope there will be a research done prior to the post. A mere Google search showed that Sam's club has the non-limited one for 50 $ with additional bands. This is a special edition, which sells for more on both Fitbit's website and at any other places. //@Anonymous: When such deals are posted as great deals. I hope there will be a research done prior to the post. Super sweet deal! Thanks dealsea! Amazon Deal of the Day has Philips Norelco Electric Shaver 9700 for $179.99. Shipping is free. Why the hype. No difference from a $40 shaver as long as you use it in the normal way. define normal way //@Anonymous: Why the hype. No difference from a $40 shaver as long as you use it in the normal way. 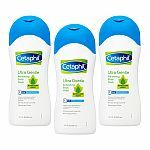 Amazon has Cetaphil Gentle Waterproof Makeup Remover, 6.0 Fluid Ounce for $4.99 - 15% click coupon - 5% with subscription = $3.99. Shipping is free with subscription. Amazon has 3-Pack of 5.5-Oz Coppertone Kids SPF 50 Sunscreen Continuous Spray for $15.86 with $4 clip coupon and subscribe and save @5% off. Shipping is free with subscription. Amazon has 2-Pack of 18oz Aveeno Baby Daily Moisture Lotion w/ Oatmeal & Dimethicone (Fragrance-Free) for $8.89 - $1 coupon = $7.89. Shipping is free with prime. puritans shipped me expiring products. I have to return it with payment myself, it also costed me time. Never buy from this shop again. Amazon has AVEENO Active Naturals Daily Moisturizing Lotion 2.50 oz (Pack of 2) for $4.94. Shipping is free with prime. 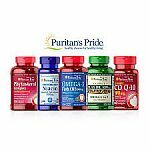 Puritans Pride has Buy 2 Get 3 free on select items. Shipping is free with $49. (Today Only) Plus Extra 30% off w/ code "WELWED4"
@Amazon. Shipping is free with Subscribe & Save. Ok price if one doesn’t need a lot. Costco is too many and I find that they don’t stick after awhile. Amazon has Move Free Advanced Plus MSM (green labe)120 tablets for $13.77 w/subscirbe - 20% off coupon = $10.87 w/subscribe. Shipping is free. It is not a coupon. You have to subscribe. Amazon has an extra 30% Off click coupon select Neutrogena product, might be YMMV. Shipping is free with prime. Not here for the deal but just so people know, I have been using the same series 7 for now 4 years and it works awesome everytime. Of course you need to change the blade everything now and then. I also just used water to clean it. Amazon.com has Up to 51% Off Select The Body Shop Gift Sets. Shipping is free on $25+ or Free shipping with Prime (30-Day Free Trial). Amazon has $0.75 coupon on 6-Count Softsoap Liquid Hand Soap. Extra 5% off and Shipping is free with subscription. Costco has 160oz for 7.49. how is it even comparable? sure genius //@Anonymous: Costco has 160oz for 7.49. how is it even comparable? byebye proactiv, i never liked you. 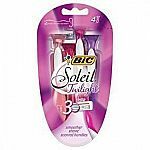 Amazon has 4-Count BIC Soleil Twilight Women's Disposable Razors for $2.61 with suscribe and save @5% off. Shipping is free with subscription. 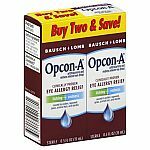 Amazon.com has $4 Click Coupon for Select Bausch + Lomb Eye Drops. Extra 5% Off + Free Shipping w/ Subscription. Target is offering BiC disposable razors for 50% off. Plus, get a free $5 gift card when you spend $20 on select personal care & beauty items. Free shipping on $35+ or free store pick up. Amazon has 120-Count Downy April Fresh Fabric Softener Dryer Sheets for $5.25 - $2 (clip coupon) = $3.25. Shipping is free with Prime or on $25+. Amazon has 240 Count Bounce Fabric Softener and Dryer Sheets, Outdoor Fresh for $5.54 - $2 (clip coupon) = $3.54. Shipping is free with subscribe & save. Subscription can be canceled any time in your account. Not ment for wiping! //@anonymous: 240 sheets not working. It works. I just ordered. //@Anonymous: 240 sheets not working. Amazon has Philips Sonicare Diamond Clean Classic Rechargeable 5 brushing modes, Electric Toothbrush (HX9331/43) for $99.99. Shipping is free. Amazon has T3 - Featherweight Compact Folding Hair Dryer for $75. Shipping is free. $75 is Great Deal! if you really need a hair dryer! Don't understand why people spending $300+ dollars on Dyson. T3 and/or Phillips are good enough with longevity. I bought a Dyson hair dryer for $350 and I really like it. For any other brand names, I don't think I have any hairs left to dry. //@Anonymous: $75 is Great Deal! if you really need a hair dryer! Don't understand why people spending $300+ dollars on Dyson. T3 and/or Phillips are good enough with longevity. Amazon.com has $2 Click Coupon for Select L'Oréal Paris Products. Extra 5% Off + Free shipping w/ Subscription. Amazon has Aquaphor Advanced Therapy Healing Ointment 14 oz + 3.5 oz for $19.99 - 35% off coupon - 5% w/subscribe = $11.99. Shipping is free. Amazon has Omron 7 Series Wrist Blood Pressure Monitor for $47.20 - 10% off coupon = $42.48. Shipping is free. 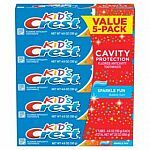 Amazon has $6 off click coupon for select MegaRed item. Extra 5% off and free shipping with subscription. Amazon has $4 Off Click Coupon for Select Always Discreet items. Extra 5% Off and Free shipping with Subscription. This product made for slanted eyes ching chong with small peckers. Someone is extremely insecure and needs to make a negative comment in order to feel better. //@anonymous: This product made for slanted eyes ching chong with small peckers.